I’ve been photographing weddings for 10 years. In the past decade, I’ve seen weddings that were enormous, with 700 guests and spanned multiple days. I’ve also photographed intimate weddings, where the only attendees were the bride, groom, and their immediate families. But never have I had the honor to photograph a true elopement, with only the bride and groom. 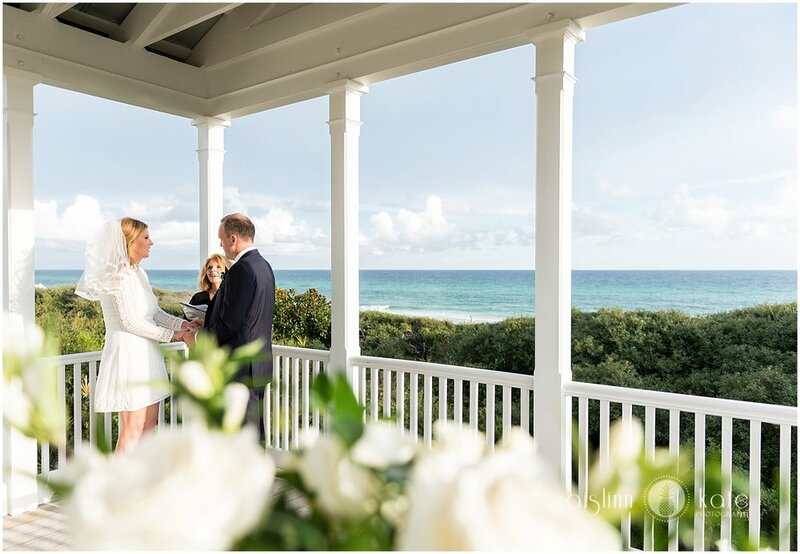 Caroline and Billy’s Seaside wedding was my first, and it was my absolute pleasure. This sweet couple has been together for years, and decided it was time to finally tie the knot. They rented an adorable cottage in Seaside, Florida, white clapboard, big windows, and overlooking the Gulf of Mexico’s turquoise waters. 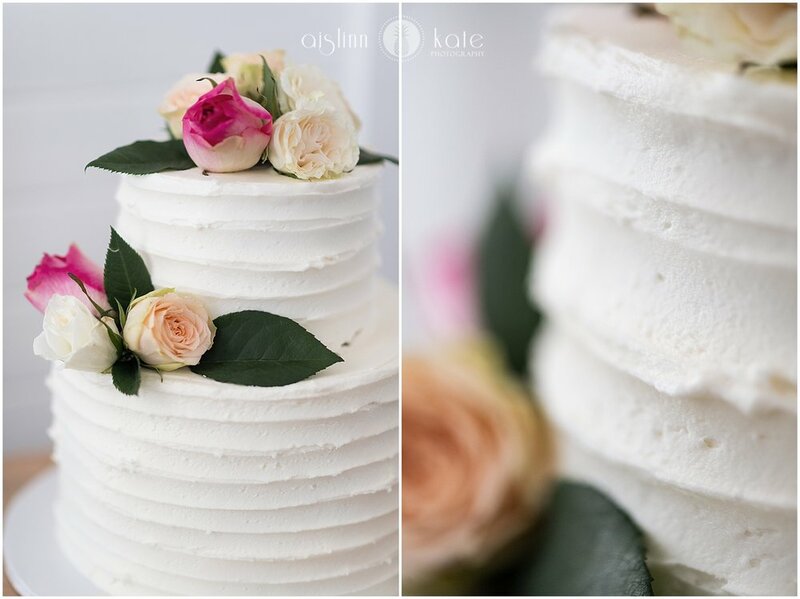 Billy filled the small cottage with fresh flowers, set up the kitchen table with a set of toasting flutes, iced champagne, and a cake adorned with roses. Caroline dressed downstairs while we chatted with Billy, and emerged looking like a vision out of a 60s flick, wearing a lace mini-dress and a flyaway veil - she reminded me immediately of Brigitte Bardot! Both the bride and groom were so welcoming and I truly felt like a participant at their intimate ceremony on their balcony, officiated by the incredibly sincere and thoughtful Marie diGiovine. I teared up when Billy spoke of their parents, and again when they recited their vows. My favorite part of this Seaside elopement was how both Caroline and Billy literally bounced up and down as they waiting for Marie to officially pronounce them as husband and wife. Our evening ended with a gorgeous photo session on the beach behind their cottage. The water was crystal clear, and the sky was a gorgeous soft pastel palette; it was the perfect end to the perfect day.